The October 13th Beach Goth lineup was an eclectic medley of everything from avant-garde, psychedelic, funk, surf, and indie rock. Despite the wide range of styles covered throughout the show, each artist seemed to work collectively to conjure up an indisputably powerful energy. First of the lineup– The Jack Moves slid on in with intoxicating guitar licks, lyrics stacked with sexual innuendos, and a vocal style that sent echoes back to the king of pop. After being lulled by the bluesy rhythm of The Jack Moves, the crowd was sunken further from sobriety with the near hallucinatory obscurity of Enjoy. Enjoy– the solo project of Wyatt Shears of The Garden, provided an incomparable experience, loaded with crab-like, robotic, and mimed gestures. With an inappropriately mellow crowd, the band bumped their tunes in their typical sporadic flurry while the crowd stood– seemingly paralyzed in front of the model-esque figures before them. Even after a personal suggestion of the “wall of death” on behalf of lead singer Wyatt, the crowd nevertheless stood gazing up at the band. I suppose the crowd can’t be blamed for their rigidity, as simply looking at the impeccable fashion, enthralling eccentricity, and haunting lack of facial expression of the band is daunting. The avant garde holiness of an Enjoy performance is undoubtedly a tough one to follow. The performance of Kirin J. Callinan, however, was far from disappointing. From his 17th Century British attire and diamond studded wig to his hips that teetered along with his proclamation of himself as a “toddler”, I was left with much admiration and even more questions. Was it an initiation into a cult? A resurrection of Cleopatra? Maybe both? We may never know. The one thing I do know for sure is that his gyrating hips took me into another dimension. 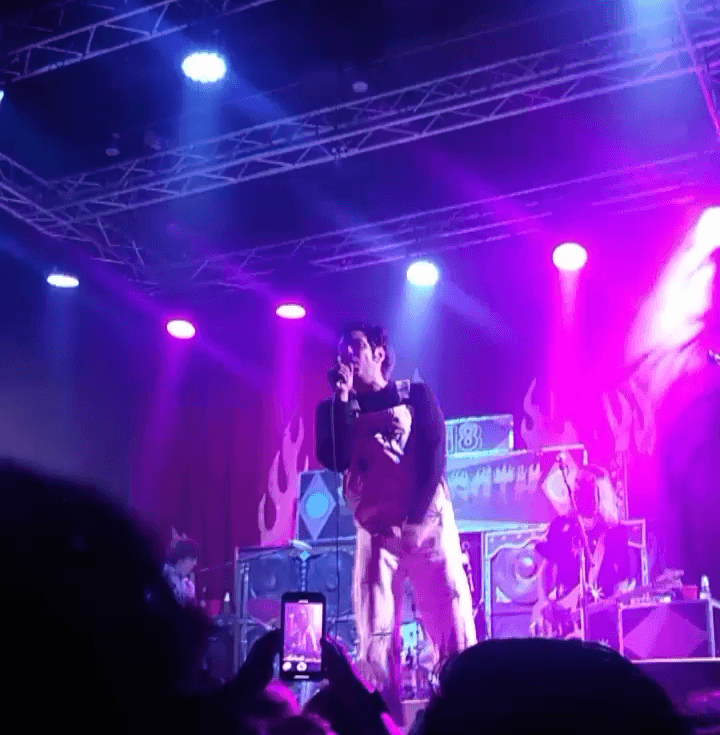 After Callinan sent the crowd spinning further into the downward spiral to purgatory, The Growlers met the crowd at the infernal gates of the underworld. The solid surf rock melodies and and rumbling vocals were sobering enough to take the crowd out of the kaleidoscopic performances of the Jack Moves, Enjoy, and Kirin J. Callinan. Instead, the band lifted the crowd and into their subtle haze. With a hefty hour and a half long performance, the band not only maintained energy, but was able to harness the crowd’s energy and sweep them out of their slumber. The low “growls” of lead singer Brooks Nielsen’s vibrato sent not only a once mellow crowd into a moshing frenzy, but simultaneously drenched everyone in a soothing sense of nostalgia. Dazed, dancing (finally), and dreading the end of the show, The Growlers left the Beach Goth crowd with an incorporeal sense of happiness.